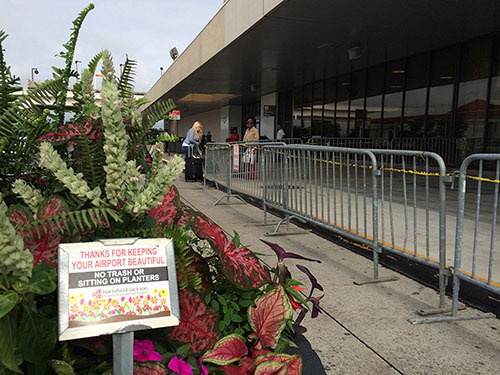 Outside Hartsfield-Jackson Airport, photos by author. View from Mountain View Baptist Church, photo by John Kelso. Those two stories out of Hartsfield leave me feeling unaccountably blistered. I live on the Southside, with the airport practically in my front yard. Those of us who live in the airport area have a special kind of love/hate relationship with our monster neighbor. We love it because it’s a mega-magnet for jobs and visitors, and it puts a large part of North America a convenient two hour flight away. From the booming economy to the nickname “ATL,” the airport is a big part of what makes Atlanta, Atlanta. On the other hand, we hate it because of nonstop flight noise rumbling in the background, shaking the windowpanes. 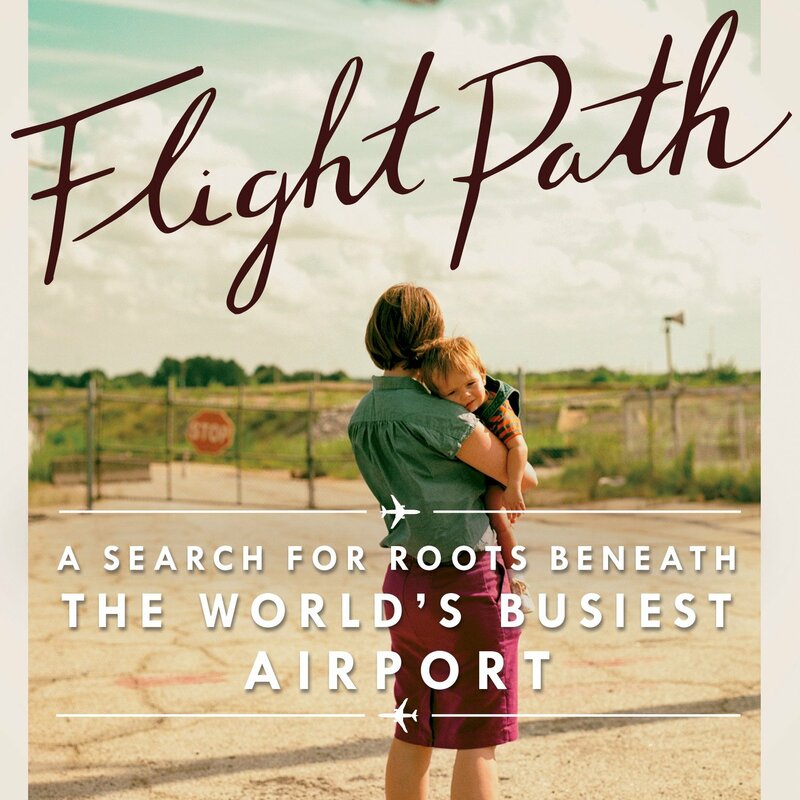 Because for decades, the economic benefits of the airport’s touted $70.9 billion in impact has always, somehow, trickled to other parts of the city. You only get to enjoy those candy kisses and slow jams if you’re inside the airport. I didn’t realize, until we lost it, that the “world’s busiest” title is a kind of consolation prize for all us losers on the Southside. As if the airport’s negative impacts were justified as long as we can claim, as we have for the last 17 years, to be the biggest and best. Without that Guinness Book record, it’s hard to love the airport. The vast acres of surface parking, the soulless architecture, the epic slog through security checkpoints, and—no disrespect to Maynard H. or Willie B.—that unwieldy, hyphenated name like a forced marriage… it doesn’t exactly inspire the warm fuzzies. To be fair, the airport is a hunk of infrastructure like an interstate highway, designed for efficiency, not romance. It is a lot like Atlanta’s other landmarks: our hotels and convention centers, our malls, hospitals, and stadiums. We all frequent these places; does anyone love them? No one mourns the malls when they die, just like no one could muster enough passion to save the Georgia Dome or Turner Field. Why are these places, these landmarks unloved? I think about this a lot, and over the years I’ve poured over maps looking for clues. The forthcoming ATLMaps platform from Emory and Georgia State University allowed me to overlay current and archival maps, revealing the changing landscape, including what has been erased. Under the runways and stadiums are the traces of a neighborhood street grid. We have a long track record of building places completely disconnected from the city itself, its urban fabric, and cut off from surrounding communities. Having seen my own homes around the airport demolished, I have long been fascinated by Atlanta’s erased communities. If you’ve lived in Atlanta for any length of time, you have probably seen “the eraser” at work, tearing down and replacing the city block by block. 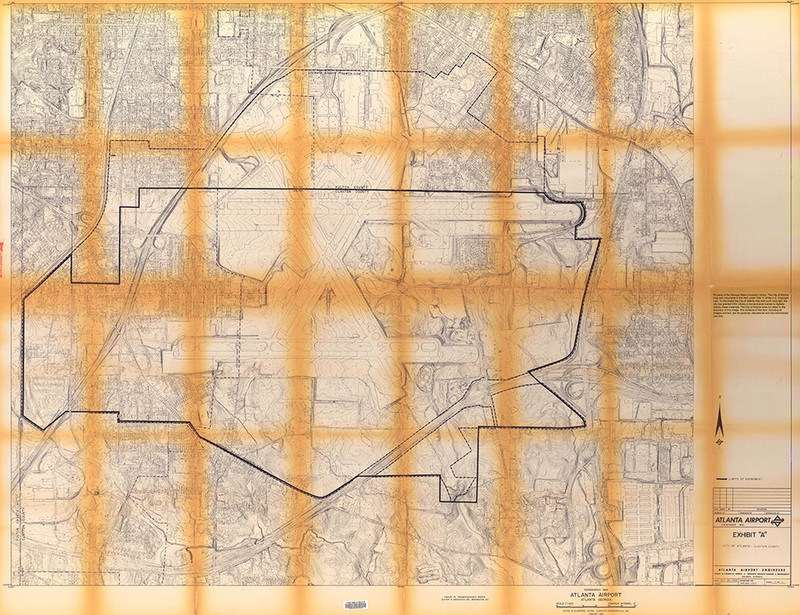 Map of Atlanta airport depicting the Fulton-Clayton county line, as well as the ultimate airport property line, 1969. Courtesy of Georgia State University Library, Planning Atlanta Collection. Maybe you’ve even lost a place that means something to you. 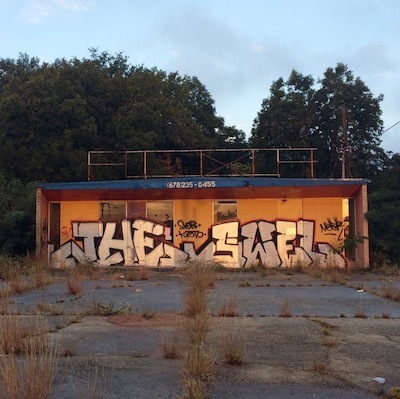 I hope to use this column to explore some of Atlanta’s lost, unloved, erased, and forgotten places through the lens of mapping and urban design. While “love” may not the top priority for planners and politicians, if Atlanta wants to grow into something more than just a constellation of busy, efficient, but eminently unloveable places, we need to consider these broken relationships. 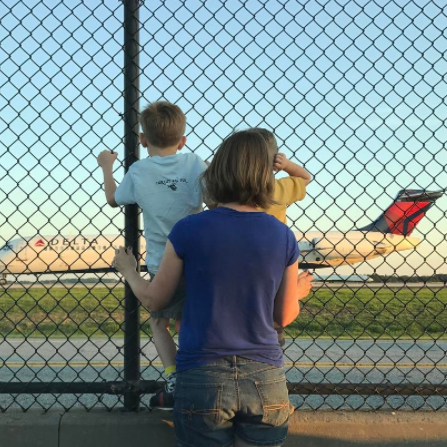 The “We Love Our Customers” campaign is merely an indicator that we need counseling; the Aerotropolis Atlanta plan signals the need to reconcile the Southside and its big economic generator. From New York’s Grand Central Station to the Atlanta BeltLine, there’s proof that urban infrastructure can be highly efficient, deeply contextual, and still deliver an alluring experience. 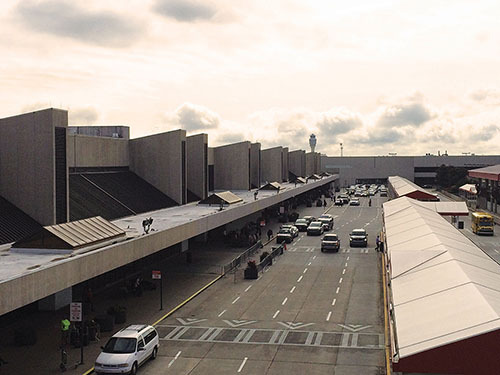 It turns out the Atlanta Airport is still number #1, sort of. O’Hare saw more flights in 2014, but if you count passengers, ATL is still—as Mayor Kasim Reed phrased it—”the busiest airport on Planet Earth.” That’s 96.1 million travelers moving around in my front yard, 250,000 guests a day. So we’re #1 in people. Imagine if all those people returned the love. 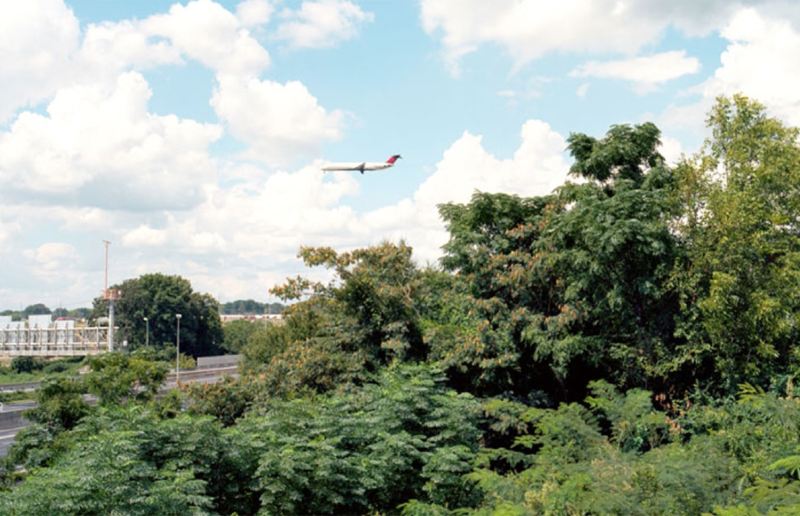 RECREATIONAL INFRASTRUCTURE: WHO GETS TO ENJOY THE WORLD’S BUSIEST AIRPORT?